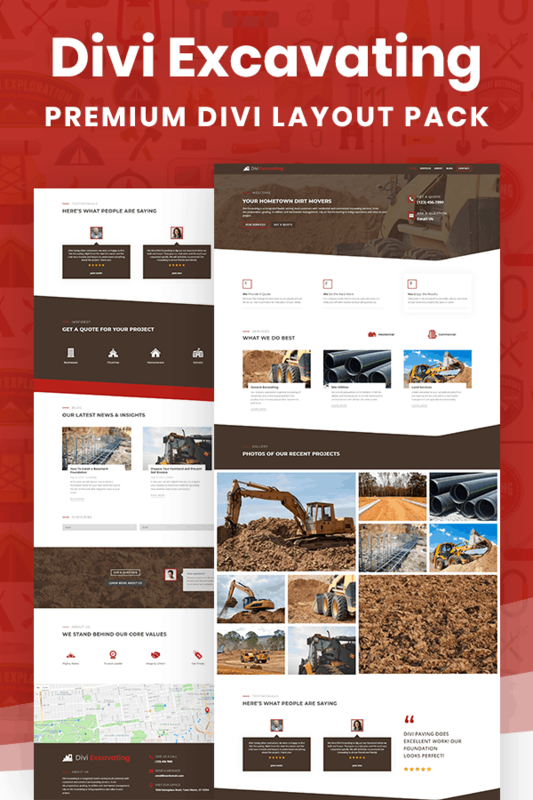 The Divi Excavating layout pack is everything an excavating company needs for their website! 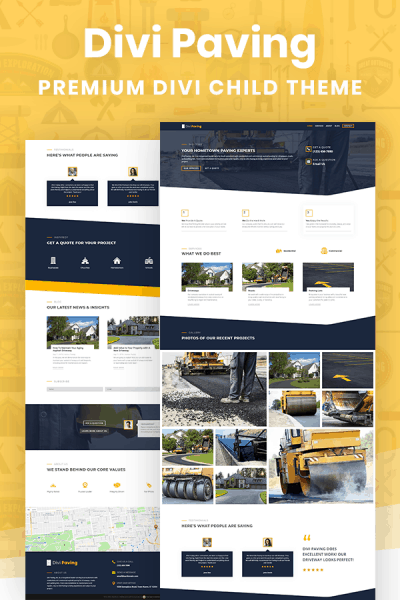 With premium features and a modern look, Divi Excavating is an affordable and complete website solution for Excavating contractors who want to grow their business and maintain a professional web presence. This layout pack is super easy to install! In just one click your website will look like our demo, and you will be on your way with a modern, fully responsive website for your growing excavating company. Designed with the typical excavating contractor in mind, the Divi Excavating layout pack comes with premium features without unnecessary bloat. The pages and content included are very intentional based on years of experience working alongside local businesses. The Divi Excavating layout pack is an indescribable time saver for small Excavating businesses and designers working with clients. 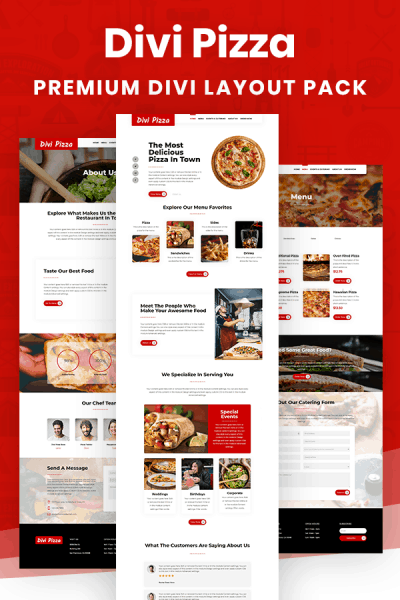 This layout pack includes tons of premium features that go far beyond the standard Divi theme.